It’s always a good idea to pay attention to what we eat and the quantities we eat. That can be especially hard during the holidays when we are extra busy and have lots of food available. 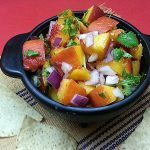 Appetizers are something that’s really easy to overdo, so I came up with a tasty fruit salsa that is easy to make and lighter than a traditional nacho cheese dip. 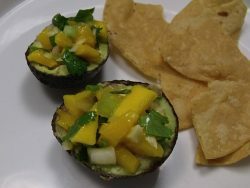 The fresh ingredients taste great and don’t contain the fat, calories or chemicals of a typical pre-packaged cheese dip. 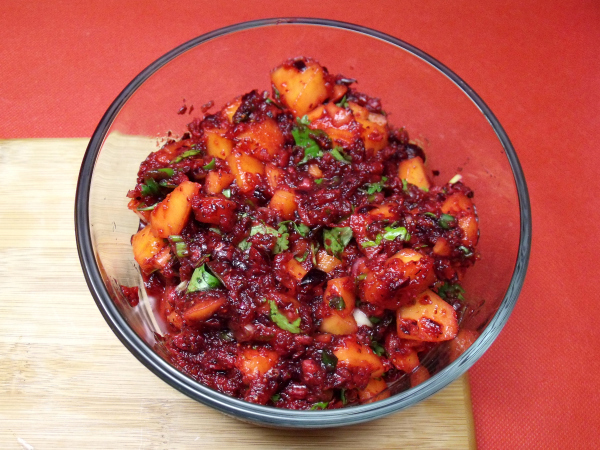 I recently brought the Cranberry Mango Salsa to a holiday party where it got rave reviews. The colors are festive and the unique flavor combination is delicious. 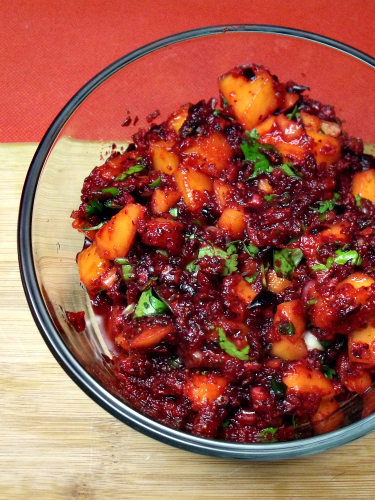 Finely chop the fresh cranberries either by hand or BRIEFLY in a food processor or blender. 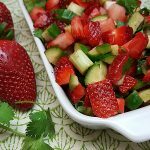 Chill for at least 15 to 30 minutes prior to serving to allow the flavors to blend. 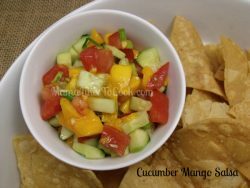 The salsa is great when served with chips or when served as a condiment for tacos, nachos, fish or poultry. I brought my salsa to the party in a Pyrex glass bowl with a No Leak Lid and am happy to report that it did not leak at all. I purposely handled it roughly, tipped it side to side, let it jostle around in the car and even flipped it upside down. As much as I tried, it did not leak! 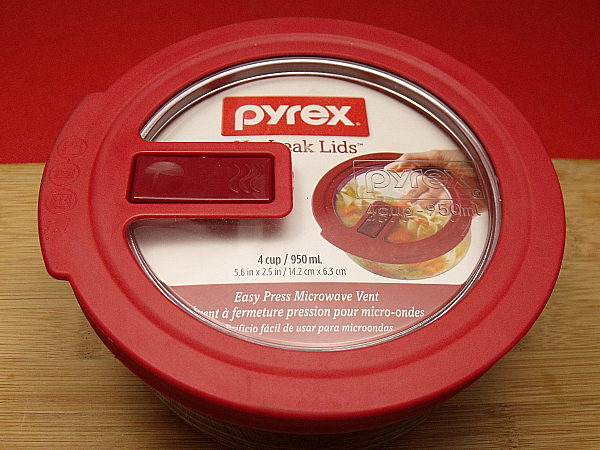 CONNECT – You can like Pyrex on Facebook and follow them on Twitter and Pinterest. New recipes can be found with the hashtags #LightenedUp #Pyrex . Copyright © 2017 Mama Likes To Cook. All Rights Reserved.